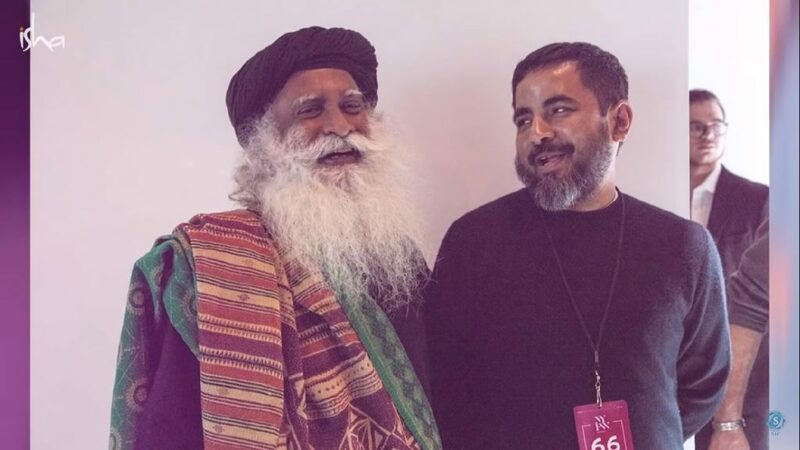 Sadhguru teams up with Sabyasachi at New York Fashion Week 2019. During the speech, he said – It’s wonderful to be here with all of you. This many human endeavours to bring sustenance, comfort, health and well-being to ourselves over a period of time our way of producing our food agriculture, our way of sustaining ourselves in terms of industry and even our healthcare and off-course textile to cloth ourselves, all these things over a period of time we have made it in such a way we can say it is definitely bordering on serious violence against everything that sustains us in this world. We are producing food in a violent way, we’re living in a violent way, our transportations are violent even our clothing has become violent and one important thing is moving towards natural fiber. We need to rethink how we need to clothe ourselves, we need to rethink how we create our homes, we need to rethink how we do our agriculture and industry otherwise if we go as we are going, almost every prediction says in about 25 to 50 years it’ll become very hard to live on this planet for the future generations. This is a year which is being commemorated in India as the 150th birthday anniversary of Mahatma Gandhi, a true apostle of peace, who inspired many movements across the world of finding peaceful solutions to very violent problems including the civil rights movements in United States, which was inspired by his work, so as a tribute to him we thought we will see what are the areas we can cover as a part of this very large-scale initiative. In India to move towards natural farming, we have initiated, where millions of farmers are getting involved in these coming years. My aim is that when I fall dead I would like to leave this planet at least the way our parents gave it to us. In this direction going to back to natural fiber is a very important part of it. America is important because for whatever reasons America has acquired leadership in the world. If you wear blue color trousers half the world is wearing blue colored trousers. If you tear it up half the world is tearing it up. So when you have such leadership, if you go for natural fiber the world will go for natural fiber. We are grateful and honored to have Norma Kamali, Mara Hoffman, Mimi Prober and off-course our own Sabyasachi. Sabyasachi has been one of the major proponents of natural fibers. If all the designers can push towards encouraging everybody to make at least 50% of their wardrobes into the natural fiber, it will be a great movement to start with.